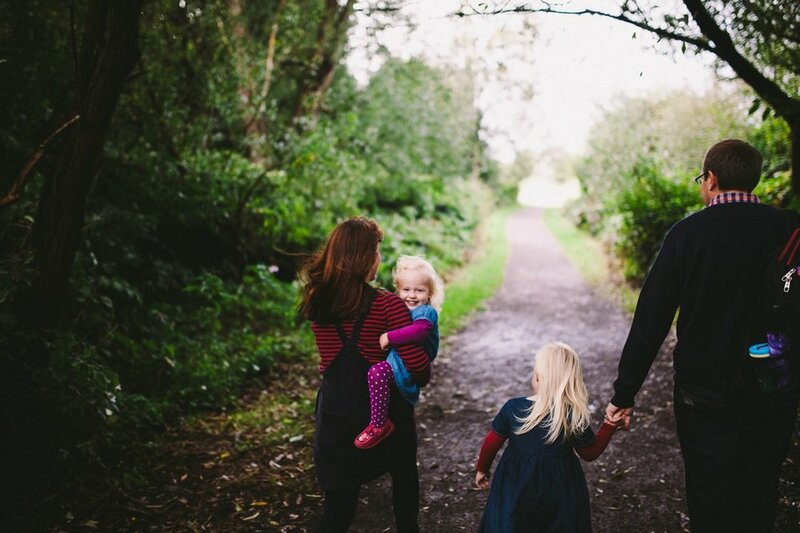 Here's a little look at a recent family session with the amazing Kate and her super lovely family! It was a pretty warm day for the season and we had a really fun walk through the woods and along the river bank. A stormy sky did eventually roll in, but a touch of rain only added to the enjoyment as the girls were so eager to get out their awesome umbrellas!